A TENS (Transcutaneous Electrical Nerve Stimulation) unit uses electrodes on small, sticky pads attached via wires to a battery-operated device. The electrodes are placed over the area in pain and a current is sent through the electrodes, stimulating the sensory nerves and creating a tingling sensation that reduces the feeling of pain. 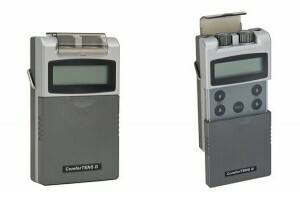 The TENS device includes a hand-held controller which allows the individual to select from a range of options, such as high frequency or low-frequency current as well as complex patterns of stimulation. Why use a Tens Unit? TENS are typically used for nerve related pain conditions, both acute and chronic conditions. The TENS machine sends stimulating pulses across the surface of the skin and along the nerve strands. The pulses help prevent pain signals from reaching the brain. Tens devices also help stimulate your body to produce higher levels Endorphins which are your body’s own natural painkillers. 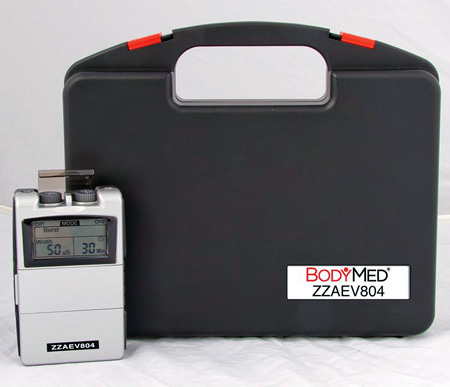 Please contact us to learn more about our TENS units and other fine rehabilitation equipment.